We are excited to announce that certification in Pivotal Response Treatment® is now available! In an effort to help disseminate Pivotal Response Treatment®, we have developed a remote (distance learning) training program. The goal of our PRT® certification programs is to provide professionals (in geographically distant areas) with an effective and efficient mechanism for receiving training in PRT® in order to achieve fidelity of implementation in each core procedural area. We offer five separate levels of certification including (1) Level I: Introductory Awareness of PRT® Research and Methodology, (2) Level II: Introductory Implementer; using PRT® to teach first words and multiple word utterances, (3) Level III: Generalization; generalizing PRT® to multiple children with ASD, (4) Level IV: Advanced Implementer; for teaching self-initiations, self-management, or facilitating social interactions, and (5) Level V: Trainer of Trainers; training professionals to train other parents and professionals to implement the PRT procedures. Please note that the programs must be completed sequentially, meaning that individuals begin with Level I and work their way through the sequence one at a time. In these programs, we send training materials (e.g., book, manuals, research articles, access to an online video training module) to participants corresponding to the specific level that they are enrolled in. Participants work through the training materials at their own pace, and then complete a written exam (Level I) or video tape themselves implementing the PRT® procedures highlighted in the training with one or more children with ASD (Level II-IV). Videos are submitted to our program and assessed for fidelity of PRT® implementation. Participants receive a written feedback report on their implementation of the procedures, and if they did not meet fidelity of implementation, are provided with an opportunity to implement the feedback and collect and submit additional videos. Once a participant meets fidelity of PRT® implementation (specific to the procedures highlighted in the training), they are formally certified in PRT®. Upon reaching fidelity, individuals will then be able to implement PRT® at the level they have been certified in their own communities. Click on the links below for more information corresponding to each level of certification. Objective: To increase participants’ awareness of Pivotal Response Treatment (PRT)® research and methodology for children and adolescents with Autism Spectrum Disorder. 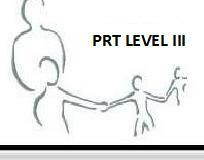 Objective: To introduce participants to the core PRT® motivational procedures for teaching beginning verbal communication. 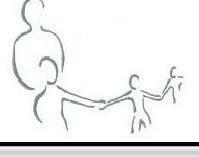 Participants must meet criteria for fidelity of implementation with 1 child with ASD across three activities. Focus: Using PRT® to teach first words and multiple word utterances to children with ASD. Objective: For participants to demonstrate fidelity of implementation for the core PRT motivational procedures across three different children with ASD at varying levels of communication ability. Focus: The format of PRT sessions and the structure of learning opportunities across children with ASD. Objective: For participants to choose a specific category (initiations, self-management, or socialization) of intervention in advanced PRT® procedures in which they develop skills and demonstrate fidelity of implementation with 3 different children with ASD. Objective of this level is for participants to demonstrate the ability to train parents and professionals in PRT intervention. Our Level V: Trainer of Trainers program is offered as an intensive on-site (we send trainers to you) program only. For more information on this level, please contact Kristin Wheatley, M.A., BCBA at kristin@koegelautism.com. 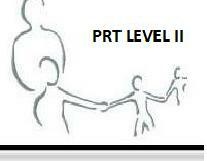 Level VI: Graduate level training (Ph.D. or M.A./BCBA) in PRT under Drs. Koegel along with ongoing continuing education in PRT. * Video Clips are 10 minute long, unless otherwise specified. To register for the a PRT® Training and Certification program, please download and complete the Certification Registration Form and follow the instructions provided on the form. For groups of five or more, please click here.